Christina Haggerty brings over 20 years of demonstrated success in marketing communications, brand management, event marketing and management, public and external/media relations, engagement, and internal/external communications alignment for both profit and nonprofit organizations. Key areas of expertise include: strategic planning; enrollment and membership acquisition and retention strategies; leadership development; fundraising; copywriting and creative direction; speech writing; and public speaking. Christina is an exceptional communicator with a proven track record of driving growth and organizational reputation through integrated marketing strategies, leadership development, and brand building from the inside-out. She has extensive experience guiding the strategic positioning of organizations. Skilled at building consensus, she is a leader in implementing new techniques to engage employees through effective communication practices, which help drive successful brand building efforts. 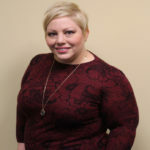 As Interim Vice President of Institutional Advancement at McHenry County College (MCC) in Crystal Lake, IL, Christina leads all outreach and strategic planning efforts, also providing direction and leadership to multiple divisions that support the advancement of the College, including: Marketing and Public Relations; Professional Development and Accreditation; Grants; Foundation; and Sustainability. She also serves as Chief Communications Officer, leading integrated marketing and communications efforts on the institution’s brand identity, enrollment management, and development. Prior to joining MCC in 2008, Christina was Marketing Director and Strategic Consultant for Dulye & Company, a leading, national strategic communications firm. Before her work with Dulye & Co., Christina was Director of Marketing at the American Marketing Association (AMA), the largest marketing association in North America. Christina has been published in the Communication Studies/Electronic Journal of Communication for her research on leadership communications. She is a graduate of Augustana College (BA) and Northern Illinois University (MA). Christina is on the Board of Trustees for Leadership Greater McHenry County (Class of 2013) and serves as Chair of its Alumni Association. She also is an active member of: American Marketing Association (AMA); Council for Advancement and Support of Education (CASE); International Association of Business Communicators (IABC); National Council for Marketing and Public Relations (NCMPR); and Public Relations Society of America (PRSA). Christina volunteers regularly with her church and a variety of local organizations in the Chicago area. A resident of Woodstock, IL, she is an accomplished singer and musician, and loves family time with her husband, daughter, and twin sons.